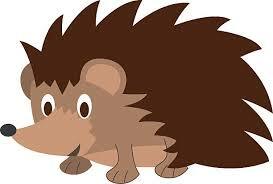 Our class name is Dosbarth Draenog, this means ‘Hedgehog Class’ in Welsh. Below we have included some information about our class and how we work. We are available to answer any of your questions when you drop your child off at 8.50 a.m. or at 11.30 a.m. when you pick them up. If you need to speak to us outside of these hours please phone the school so that we can arrange a mutually convenient time to meet. Please remember we are available to answer any of your questions when you drop your child off at 8.50 a.m. or at 11.30 a.m. when you pick them up. Book bags are sent home on a Friday and should be returned to school on a Monday morning. If Benny Bear comes home with your child on a Thursday, he should be returned to school on the following Monday. Play bags are sent home on a rota basis throughout the year. They are sent home on a Friday and should be returned by the following Thursday. Snack money is £1.50 weekly and should be sent into school in a named envelope or paid online. Forest School – we will be going up to Forest School as often as we can, so all children need to have a pair of wellies (named please) which can be kept in school. Reading – children will continue to bring a book of their choice home for you to read to them in their book bag every Friday. Please feel free to write in your child’s reading log to record their response to the book. Home/School link sheets – we will continue to send home suggestions of activities you could do with your child to support their learning linked to our focus book on a regular basis. Play bags – we will continue to send them home on a rota basis throughout the term.